When I first heard Zack Snyder was directing Man Of Steel, It made me a little nervous. Retrospectively, I’m not totally sure why. I liked 300, and I though he did the best he could with Watchmen – and by that I mean it was a graphic novel which for years, people said couldn’t be filmed as a single movie, and Zack made a decent enough job of it. In both cases though, he proved he was a man that could convincingly put a comic book on screen. Something which he achieves again with Man Of Steel. Having said that, 300 was like it was ripped straight from the pages of the graphic novel, and to a similar extent, so was Watchmen. With Superman, you’re not dealing with a single book, but 80 years of comic book history, and I think my concern was that, without a clear vision to guide him, you could end up with a campy comic book mess. Thankfully, the Batman franchise’s David S. Goyer and Chris Nolan were there to point him in the right direction. Fresh from his script writing duties on Batman, David S. Goyer suggested a concept to Nolan for how to reboot the Superman franchise for a modern era. Nolan then pitched the idea to WB, and Man Of Steel was born. Nolan and Goyer seem to have taken the model they learned with Batman, and applied it to Superman. 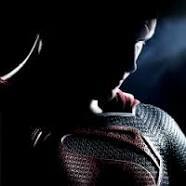 To all intents and purposes, Man Of Steel is Superman Begins. As in Batman, they’ve taken elements from the more critically acclaimed graphic novels, but weaved them into a brand new story. Interesting, despite the fact it’s dealing with aliens, the film manages to keep the same sort of ‘realistic’ feel of the Batman franchise. I’d always thought it would be hard to make a Batman/Superman movie without rebooting Nolan’s version of Batman into something more out-and-out ‘comic book’. But seeing how Goyer, Nolan and Snyder have handled Man Of Steel, I can now see the 2 franchises gelling together extremely well. I’d actually like to see DC take a similar approach to any of it’s other major players it brings to the big screen. Marvel already do the traditional ‘comic book movie’ so brilliantly, I think it would be a mistake for DC to emulate that directly. When they have, it hasn’t really worked (I’m looking at you Green Lantern…). Far better to make a rather more ‘grown up’ set of comic book films, so they’re not trying to compete head on. Although Man Of Steel is an origin story, it’s not like any Superman origin story you’ve seen before. Rather than being about how Clark becomes Superman, it’s about him discovering who he is, and where he fits in on his adopted planet. There are elements of him growing up in Smallville, but his formative years (with the exception of his birth), are shown in flashback throughout the movie rather than in chronological order, so you feel less like you’re being bludgeoned over the head with an A to B origin tale. I should also mention, I thought the casting was superbly done. Just as Henry Cavill was born to play Superman, Michael Shannon was born to play Zod. Forget Terence Stamp’s campy Superman II version, this Zod is the hardened leader of Krypton’s military. Dark, fearsome, menacing, and not someone you’d want to mess with. Cavill fit’s Goyer’s version of Clark/Kal-El superbly, and Amy Adams works really well as tenacious reporter Lois Lane. Russell Crowe‘s Jor-El is very nicely pitched, as are Kevin Costner and Diane Lane as Clark’s adopted parents. Overall, I really enjoyed Man Of Steel. If you’re a fan of Nolan’s Batman films, I think Goyer, Nolan and Snyder have created a film you’ll be more than happy with. 9/10 – Not your traditional comic book movie, but all the better for it. ← Competition: Win 1 of 5 World War Z Hydration Backpack & Art Books!